At CA Immo, responsible corporate management is all about steadily raising value over the long term. Our sustainability model extends to all dimensions of business activity – environmental, economic and social – at Group as well as property level. Leading the company in a responsible manner is an inclusive arc spanning all sustainability issues. Globally, buildings are responsible for 30% of carbon emissions while consuming 40% of raw materials and energy. Conservation of resources is a major theme affecting the future of the real estate sector. CA Immo continually collates and analyses international data on consumption as well as carbon emissions produced by the heat and energy consumption of its office properties. The data is applied to ongoing portfolio monitoring, on the basis of which decisions on maintenance measures are made. Annual energy audits are also carried out in owner-occupied CA Immo office premises in Germany and Austria with the specific aim of progressively optimising energy values. 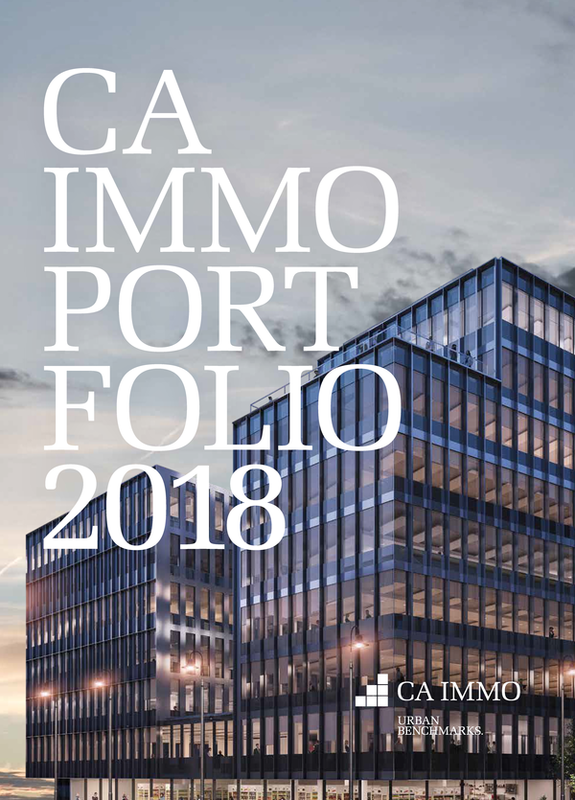 To facilitate transparent comparison of the quality of portfolio buildings across international boundaries, CA Immo has certified more and more portfolio buildings since 2015. In 2017, the certification process was completed for two office properties. As at 31 December 2017, 35 office properties (74%) of the total CA Immo office portfolio) have been certified according to DGNB, LEED or BREEAM standards. Further standing office buildings are undergoing the certification process. To optimize the energy balance of portfolio buildings, an extended dialogue was initiated with users regarding consumer behaviour (amongst other measures). 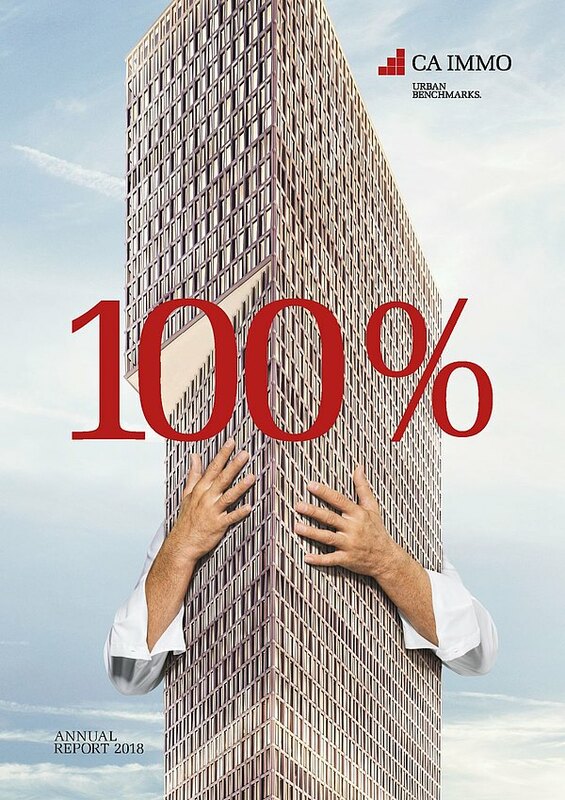 A Group-wide information campaign concerning the resource-efficient usage of office buildings by CA Immo office tenants guided by the motto “Think more, waste less” has been running since 2013. Through its real estate and urban district development activities, CA Immo is helping to shape the skylines of major cities like Vienna, Berlin, Frankfurt and Munich – from involvement in the master plan to the establishment of surrounding infrastructure and the construction and running of new buildings. To comply with the multifarious requirements arising at all levels, CA Immo only constructs offices (since 2011; minimum standard: DGNB silver) and hotels (since 2013) certified to LEED, DGNB or ÖGNI standards on a Groupwide basis. By meeting various certification requirements, the company makes allowance for the conservation of resources such as energy and water as well as emissions, wastewater and refuse and the transporting thereof; effects on safety and health are considered throughout the lifecycle. Within the context of its development projects, CA Immo observes legal requirements on potentially negative influences on stakeholders (such as construction noise and increased particulate matter pollution) and engages in proactive dialogue with relevant stakeholders from the outset. Examples of this have included the site conferences for the new Europacity in Berlin. CA Immo is committed to conducting business in a highly responsible, fair and sustainable manner on the basis of comprehensive corporate governance. The company’s compliance management division oversees compliance with laws, guidelines and codes. Transparency, fairness and respect for all stakeholders is enshrined in our code of values alongside the prevention of corruption. Our employees are key to our success over the long term – ways in which we support them and promote their development are outlined in the Careers chapter.